We have often pointed out that the majority U.S. interpretation of “habitual residence,” the key term in the Hague Abduction Convention, is out of line with the international consensus. Most but not all U.S. circuits follow the rulings in the key cases of Mozes and Gitter. Those cases hold that a change of habitual residence normally requires proof that the parents’ last shared intention was to abandon a prior habitual residence in favor of a new one. There is an exception to this rule if the child has become acclimatized to the new location but it is normally restricted to situations where the acclimatization is both exceptional and unequivocal, and where the child does not retain significant contacts with the prior place of residency. In JEK v LCYP  CACV 125/2015(decision dated August 27, 2015), the Hong Kong Court of Appeal was faced with the question of whether to follow the U.S. or the U.K. authorities. (Note – I advised one of the parties). The facts as outlined by the court were that the parents had lived for the first 16 years of their marriage in New Jersey, where their two children were born and raised. The wife then moved with the children to Hong Kong, her country of origin, pursuant to what the husband believed was an agreement with his wife that the children would remain there on a limited, temporary basis not to exceed 1 to 2 years. After 8 months in Hong Kong the wife, having discovered that the husband was having an affair, petitioned for divorce in Hong Kong and sought to retain the children there. The husband then sought the return of the children under the Hague Convention. That decision was in line with the older English cases, which cases had been followed in the Mozes case and its progeny, and with the majority U.S. approach. On appeal, the Hong Kong Court of Appeal overruled the lower court on this issue. In particular, it noted that “there has been development both locally and also in the Hague Convention jurisprudence on habitual residence which compels this Court to take cognizance of the development since Hong Kong is a contracting state of the Hague Convention.” It found that “impetus for change” first came from the Court of Justice of the European Union in Proceedings brought by A (Case C-523/07)  Fam 42 and Mercredi v Chaffe (Case C-497/10PPU)  Fam 22. · It is necessary to assess the degree of the integration of the child (or, in the case of an infant or young child, the degree of integration of those on whom the child is dependent) into a social and family environment in the new country. Applying these principles the UK Supreme Court in AR v RN found that the habitual residence of the children had shifted from France, where they were born and raised, to Scotland, where they gone pursuant to an agreement with the children’s father that they would return to France after one year. After just four months in Scotland, the mother had brought a custody case in Scotland seeking an interdict against the father removing them from Scotland. The father had promptly bought a Hague case. The UK Supreme Court found that the absence of a joint parental intention to live permanently in Scotland was not decisive, nor was an intention to live in a country for a limited period inconsistent with becoming habitually resident there. The important question was whether the residence had the necessary quality of stability, not whether it was necessarily intended to be permanent. Following the children’s move with their mother to Scotland, their life there had the necessary quality of stability. For the time being, their home was Scotland. Their social life and much of their family life was there. The longer time went on, the more deeply integrated they had become into their environment in Scotland. Accordingly their habitual residence had shifted to Scotland. · The couple was experiencing marital problems when the Wife left New Jersey with the children. She was coming back to Hong Kong which was her home before she joined the husband in the USA after the marriage. · The wife had entered into a fixed term lease for two years as the residence of her and the children in Hong Kong. A family car was purchased by the husband for the use of the wife and the children and the wife had purchased an uncompleted property in Hong Kong for investment purpose which was funded by the husband. · Although the original agreement between the parties was that the move to Hong Kong was intended to be a temporary one, the wife had, before the agreed time expired, changed her mind and decided to stay in Hong Kong. · Looking at the position of the children, they have integrated into Hong Kong for nearly two years in terms of their full time studies here and their social activities. 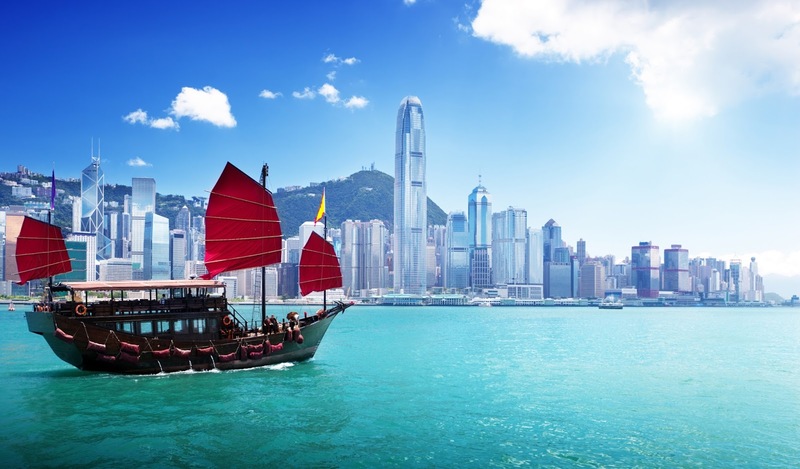 · Although the children’s move to Hong Kong was intended to be for a temporary period of not more than two years, Hong Kong has been their home for the past 24 months. It has all the hallmarks of a stable residence. · The absence of the joint parental intention to live permanently in Hong Kong is by no means decisive. · Based on the evidence, the children’s habitual residence is in Hong Kong and no longer in New Jersey, hence the Hague Convention was not engaged in the first place. Thus, the Hong Kong courts have revised their rules concerning the interpretation of habitual residence to follow the interpretation of the entire European Union, the UK, Canada and most of the rest of the world. The contrast between the majority U.S. rule and the international consensus is clear. The Convention and the International Child Abduction Remedies Act require U.S. courts to pursue a uniform international interpretation of the treaty. Thus far, U.S. courts have failed to do so. In particular it is most unfortunate that the U.S. Supreme Court has declined multiple opportunities to resolve the issue. * Jeremy D. Morley, author of The Hague Abduction Convention: Practical Issues and Procedures for Family Lawyers, published by the American Bar Association, liaises with lawyers and clients (always with local counsel as appropriate) around the world on international child abduction and custody issues.